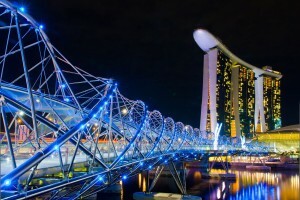 A report by London-based research firm WealthInsight says that Singapore may overtake Switzerland in terms of offshore assets under management as early as 2020. Singapore currently has US$550 billion in assets under management, which is up more than tenfold since 2000. The report said that Switzerland’s assets under management – currently at US$2.8 trillion (US$2.1 trillion of which are offshore) – may dip below US$2 trillion by 2016, while Singapore’s assets could quadruple. Switzerland has been falling out of favor with the worlds richest, as the EU and the United States continue to apply pressure on the country’s banks. Western economies have been tightening tax legislation and aggressively pursuing tax shelters, while demanding more transparency from financial institutions. It isn’t just individuals looking for new places to place their assets and investments: multinationals are also under increasing pressure. Switzerland has had to scrap incentives for foreign multinationals, and other countries such as the Netherlands and Ireland have been keen to shake the image of being tax havens, despite benefiting greatly from strong multinational investment in the past. Singapore is one of the jurisdictions to buck this trend. It continues to attract wealth from all over Asia as the region’s elite search for a place to park hundreds of billions of dollars of assets. China is a particularly large source of custom, with over half of Singapore’s offshore assets coming from the said country. According to WealthInsight, investments from China, India, Indonesia, and Malaysia will continue to increase as these economies grow. Singapore is also a choice location for multinationals. Low corporate tax regimes and incentives on the island nation mean that corporations such as Dell can pay taxes of just 0.1 percent on two-thirds of its international profits, as it did in 2011. These incentives can be a boon for corporations seeking to protect their assets and minimize their tax expenditures, while avoiding being labeled as tax-evaders seeking a convenient haven. Investing assets offshore can have a number of benefits, aside from lower taxes. According to Philip Marcovici, a Hong Kong-based tax lawyer, banking offshore can be as much about “obtaining the human right to privacy and seeking confidentiality about financial affairs.” As the shift towards transparency continues, many of the world’s wealthy have been forced to reassess how and where their assets are held, and for the foreseeable future, Singapore is a very attractive option.